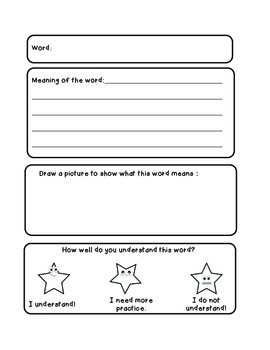 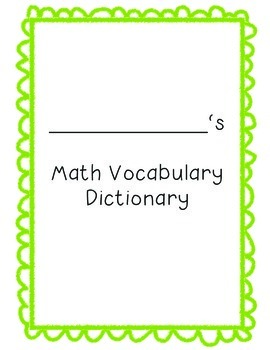 This file will provide a way for students to document the many math vocabulary terms that they are expected to know. 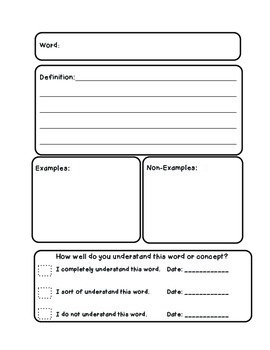 It provides space for a definition, examples, non-examples, and documentation of how well the student understands the term. 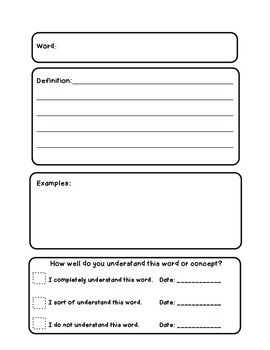 There are three different page templates and two different cover page options.